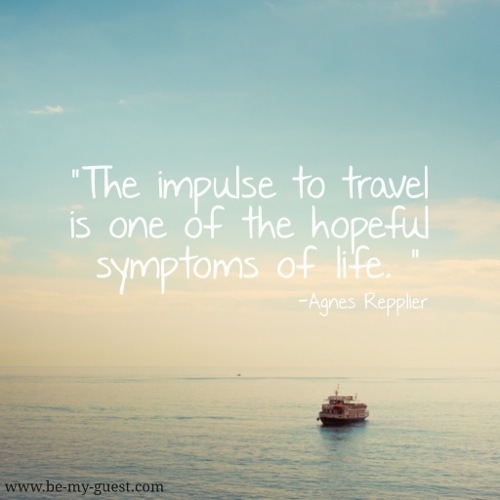 Don’t have a Philippine e-Passport yet? MANILA – Filipinos are urged to apply for the e-Passport before their green or maroon passports expire, the Department of Foreign Affairs said. “All Filipino nationals holding Machine Readable-Ready Passports (MRRP; green passports) and Machine Readable Passports (MRP; maroon passports) will no longer be allowed to apply for an extension of the validity of these passports after October 31, 2014,” the DFA said in a statement. “They must instead apply for a new e-Passport as soon as possible before the expiry of their current MRRP (green) or MRP (maroon) passports. Those who fail to do so will likely encounter difficulty at immigration checks when traveling through any ports of entry around the world after October 2015,” the DFA said. 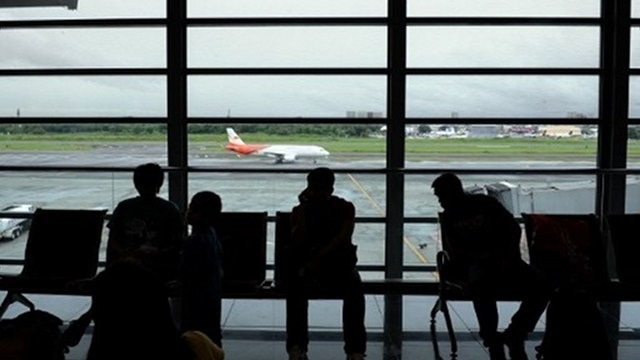 “In these instances, proof of urgency such as a copy of the death certificate, medical certificate, valid employment contracts processed by the Philippine Overseas Employment Administration (POEA) or any of the Philippine Overseas Labor Offices (POLO), along with plane tickets with confirmed flight details should be presented,” the DFA said. Missed the Giant Lantern Festival 2013? Missed the Giant Lantern Festival Competition? You can still catch the giant lanterns of Pampanga in the following exhibition dates which will run from Dec 15 to January 3, 2014 for FREE! In view of the holiday travel rush , PAL and PALex are advising passengers to check in early to avoid congestion at the airport and help ensure timely flight departures. – Beefing up of security measures to ensure the safety of passengers. These include the deployment of more security personnel and bomb-sniffing K-9 explosive detecting dogs at key points of the NAIA Centennial Terminal 2 and 3. For more information, please check flight status and latest updates by logging on to the PAL website at www.philippineairlines.com or the PALex website at www.flypalexpress.com. 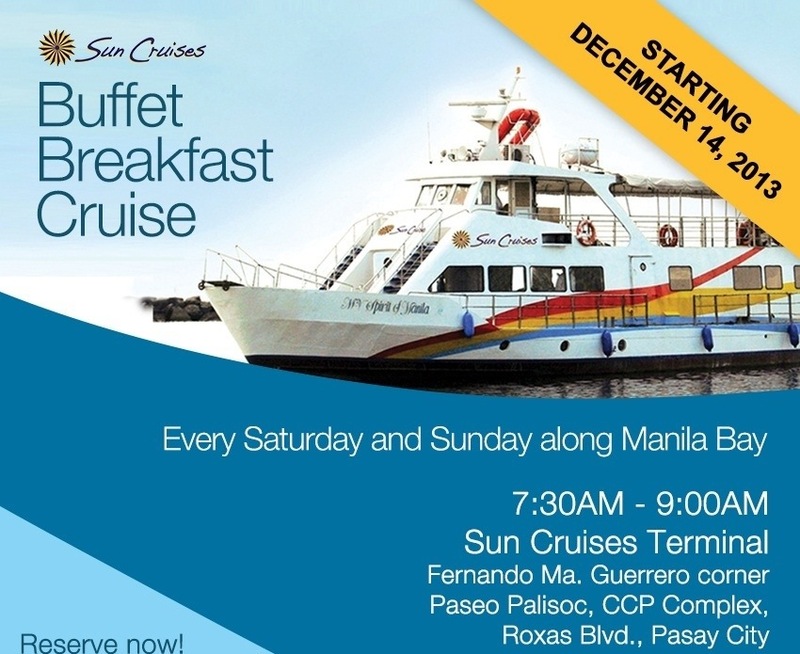 You may also call the PAL hotline at 855-8888 or PALex reservations at 855- 9000. Happy holidays from your home in the sky! 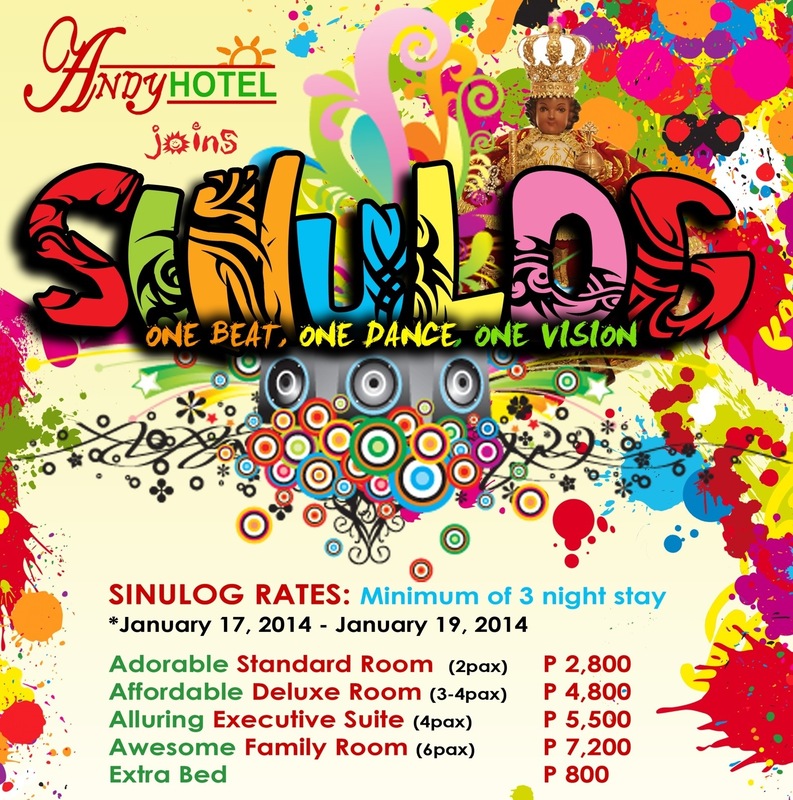 Office will resume on January 2, 2014. Should you have further inquiries, please do not hesitate to call or text +63-918-4049927 or +63-905-3224842. 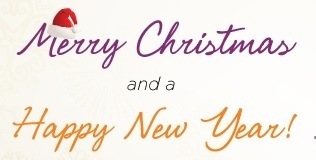 May you all have a VERY MERRY CHRISTMAS and a PROSPEROUS NEW YEAR!!! (CNN) – If your Christmas is too often one of tacky decorations, over-cooked turkey and bitter family feuds, now may be the time to put the baubles back in the attic and plan a yuletide getaway. To help you along, we offer our top picks for the most Christmassy places around the world. If you can manage to extend your Christmas holiday until Three King’s Day, (January 5) there’s no better place to catch up with Melchior, Gaspar and Balthasar than Barcelona. On the evening of January 4, they arrive at the city’s port on the the Santa Eulàlia — their very own ship — in bearded and velvet-robed splendor. Canons are fired, fireworks are set off, and as the mayor hands them the keys to the city, the magic of the Magi officially commences. Here, children make gingerbread cookies with Mrs. Claus, enroll in Elf School or take a calligraphy class and compose their Christmas wish lists with a traditional quill. Other area attractions include the Ranua Zoo, home to baby polar bears, wolverines and moose; Sirmakko reindeer farm, where visitors can take a sled-led reindeer safari; and the Arktikum, a science center where the mystery of the northern lights is revealed. Rockefeller Center lies at the core of the New York Christmas. Its famed ice rink has been around for 77 years; the decorated tree is an 80-year-old tradition. Across the street, Radio City hosts the annual Christmas Spectacular, starring the Rockettes. On the southwest corner of Central Park, Columbus Circle hosts more than 100 vendors selling clothes, gifts, snacks and drinks at the Holiday Market. Central Park has two ponds for skating and horse-drawn carriage rides. Fashion’s biggest names join in the festivities, setting up impressive Christmas window displays. The most glamorous cases, at the Fifth Avenue flagships and department stores like Saks and Bergdorf, are impressive enough to melt the heart of Anna Wintour. The Nuremberg Christmas market (Nürnberger Christkindlesmarkt) is a German institution, pulling in more than 2 million visitors each year. Highlights include a giant carved wooden Ferris wheel, old-fashioned carousel and steam train. Unlike all those “fake” Christmas markets that have been popping up in the region, Nuremberg’s Christmas Market Council is serious about making sure only traditional handmade toys and holiday goods are sold. No mass-produced plastic garlands here. The market’s 200 select vendors also put up fantastic displays as they compete for the Most Beautiful Stall Design award. The top three walk away with a gold, silver or bronze “Plum People” awards. Adults can enjoy Nuremberg spicy gingerbread and mugs of mulled wine. For kids, there’s the Toy Museum, while the German Railway Museum is a hit with everyone. MORE: Are there too many ‘German’ Christmas markets? If you’re the type who likes to celebrate Christmas around a tree made from recycled sheet metal, with lights powered by the pedaling of nearby cyclists, Quebec is your destination. Modern-day Victorians can enjoy a candlelit evening of stories from Charles Dickens, recounting the Christmas traditions of yore. Sausage and roast chestnut lovers can browse the wares at the German Christmas market. The more religiously inclined can wander an exposition of nativity scenes from around the world. The nearby Sentier des Caps de Charlevoix offers family-friendly hiking, snowshoeing and skiing, while speed devils can zoom around in a snowmobile from Nord Expe. Piñatas, posadas and ponche sum up the festivities in this colorful Mexican city, where Christmas is both a solemn and celebratory affair. Leading up to December 24, you’re likely to stumble upon Mary and Joseph strolling the streets, as locals make pilgrimages from home to home, singing to “ask for posada” or “beg for shelter” as they re-enact the journey to Bethlehem. Piñatas and ponche (a mulled fruit drink) cap a long evening of peregrinations around this cobblestoned city, designated a UNESCO World Heritage Site for its wealth of grand churches, well-preserved architecture and grand zocalos, or sweeping public squares, replete with romance and Old World charm. Christmas is a year-round occasion in this town of fewer than 3,000 residents. 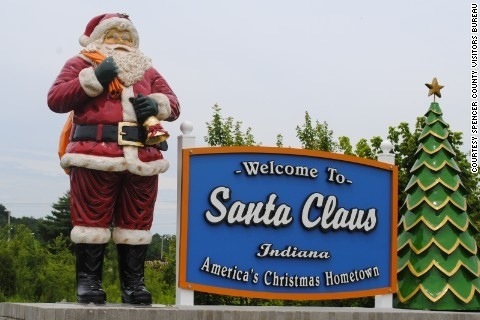 Santa Claus, Indiana, receives thousands of letters a year from children trying to reach St. Nick himself. A group of volunteers called Santa’s Elves was set up in the mid-1930s to reply to each letter. Among various Christmas-themed events, the Christmas Lake Golf Course offers wine tasting on December 14. Santa hosts a buffet dinner at the course lodge on Fridays leading up to Christmas. Strasbourg’s series of themed Christmas villages morph the city into a visual and gastronomic wonderland. Visitors can head to the Village of Alsace Farmhouse to taste prune, apricot and other holiday-inspired variations of farm-fresh foie gras. The nearby Village of Bredle is supplied with its namesake traditional Christmas biscuits and copious amounts of mulled Alsatian wine. From the Strasbourg Philharmonic to gospel to Django Reinhardt-inspired gypsy jazz, Strasbourg’s Christmas program is packed with concerts and cultural events from Croatia, the guest country of Strasbourg’s Christmas celebrations this year. The cavern houses sculptures and an 18th-century chapel, as well as preserved mural drawings that date to Roman times. Marlstone products and traditional Polish handicrafts are a few of the unique items exclusive to Valkenburg’s Christmas markets. MANILA, Philippines – The Air Passenger Bill of Rights is out and will take effect December 21. All airlines have to outline their limitations and restrictions in both English and Filipino. MANILA, Philippines – Temples that date back to the 12th century, ancient carvings, and a former capital called the Garden City of the East. 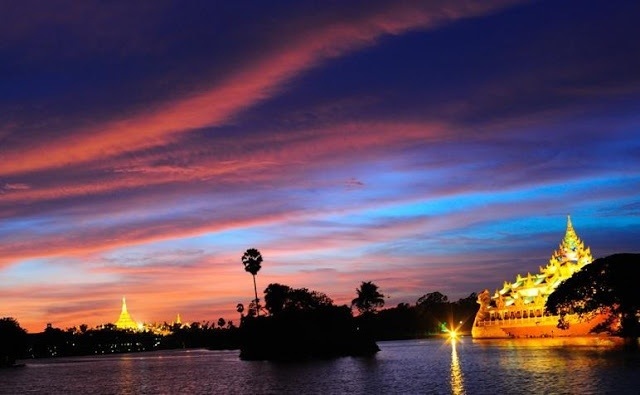 Time to see all these in Myanmar – visa-free for 14 days.